I find your lack of Star Wars jewelry disturbing. 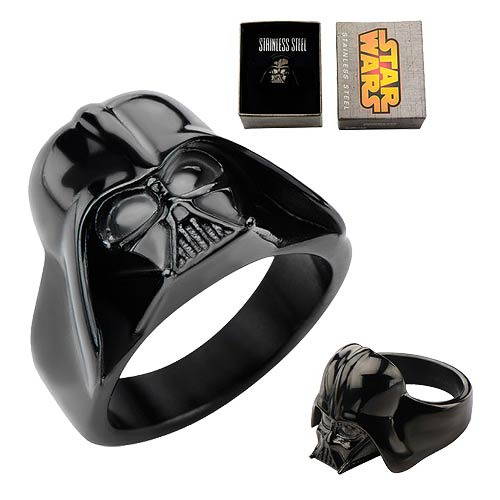 Show your love for the Sith lord Darth Vader with the Star Wars Darth Vader 3-D Black Women's Ring! Featuring the iconic helmet of the coolest bad guy ever, this ring is perfect for any Star Wars fan! Made of stainless steel. Helmet measures approximately 1/2-inch in length.